Irish ex-MMA athlete Graham McCormack from Cork has opened up about how mental health issues left him ‘tormented’ and he attempted to take his life three times. 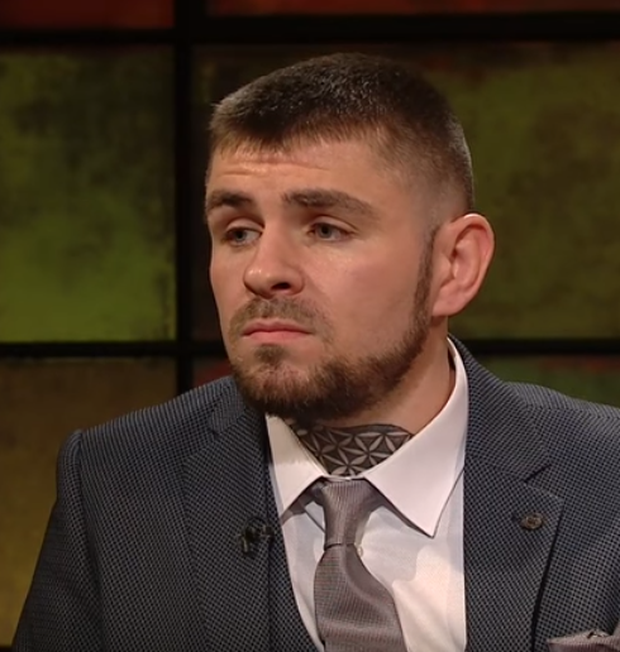 In a candid interview on The Late Late Show last night, the Cork man opened up about attempting to take his own life at 19 years of age. “The self-hatred had started early, I got expelled from school for drinking on the school property and I was in rehab at 16,” he explained. “I let my thoughts get the best of me I started to believe them and acted out. What I decided to do here was that I tried to end my life at 19,” he told presenter Ryan Tubridy. He explained that when his first daughter was born he felt like a poor role model and it took a toll on his mental health. “I was just like okay, you are really not going to be a good role model,” he said. He consequently ended up in Cork University Hospital. “The medication was morning, afternoon, evening and night while I was in there. Because I was in crisis and I understood that I needed to be mellowed bit,” he said. After he was able to go home he took up fitness but over time his mental health declined again and he again decided to take his own life. “I got to a point where I literally had enough and I couldn’t see any further. I saved up my medication for about two weeks and I swallowed all my medication,” he said. Back in hospital, he was then diagnosed with unstable personality disorder. “I went, ‘no sh*t, basically,’ the boxer remembered. While he was relieved to finally have been diagnosed, it raised further concerns. “I was left with the belief that I would be emotionally unstable for the rest of my life, that my emotions were not mine and if they were I was not in control of them,” he said. McCormack admitted that mindfulness formed a part of dialectical behaviour therapy, which was the ‘last hurrah’ for him. He recalled how difficult he found it initially when his therapist first asked him to try it. “I was scared of my own thoughts and what was going on in my own head, I was that bad. I wasn’t sleeping for probably years because of what was going on in my own head,” he said. “I was absolutely tormented,” he added. While he struggled with grasping mindfulness initially, he got the hang of it several months in. “Around nine month mark, it started to kick in,” McCormack said. “Mindfulness saved my life, definitely, not just mindfulness but becoming self-aware. Being mindful means you’re becoming self-aware generally,” he said.